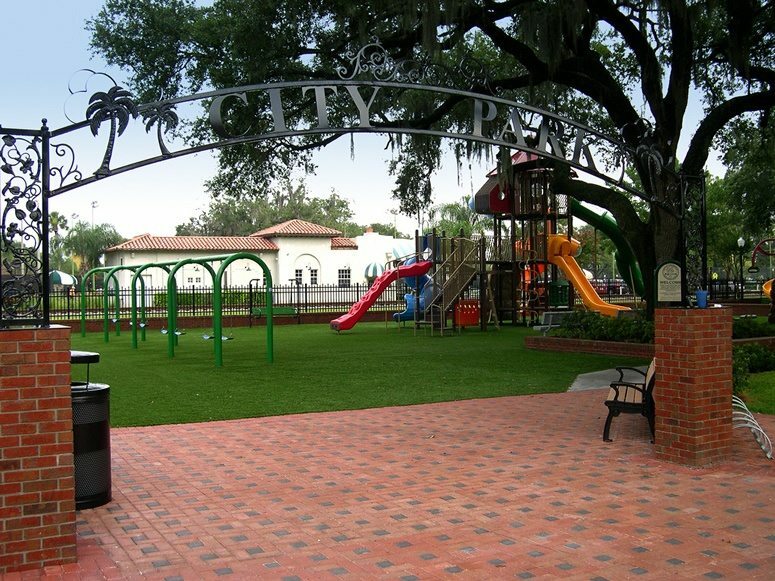 Auburndale, Florida – The city originally looked at utilizing a pour-in-place surface, but changed to ForeverLawn Playground Grass Extreme product because they wanted a more natural, clean looking surface. The large 10,000 square foot project was downtown, so the look was very important to the overall appearance. 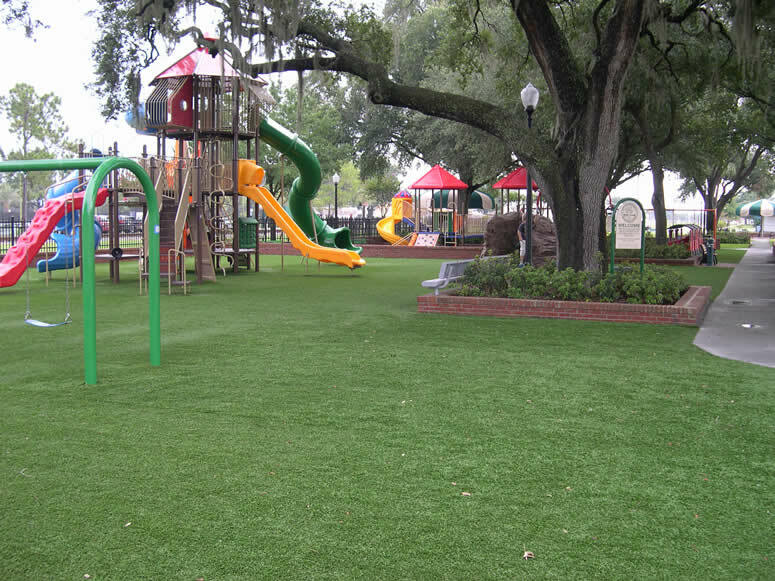 The playground also had equipment that needed a 12-foot fall height and the ForeverLawn system met those needs.